Our wellness retreat is set to relax, inspire and motivate you to be your best. We have created a programme to leave you feeling rejuvenated, and refreshed. 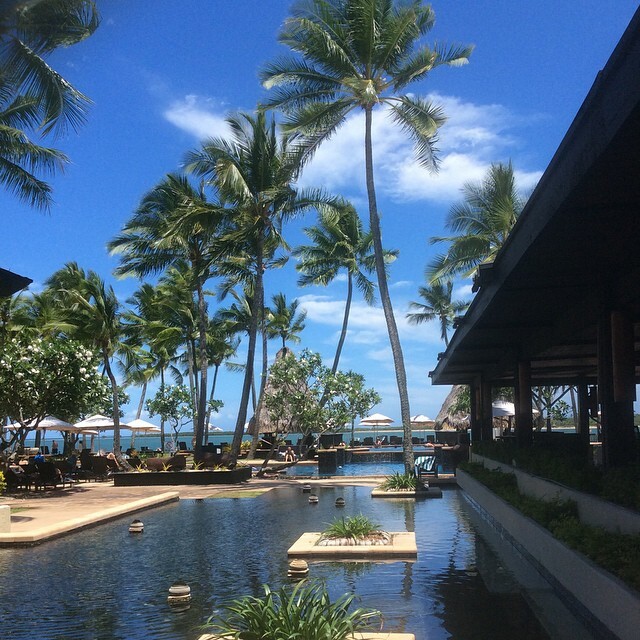 The programme will enable you to achieve your wellness goals with seminars and individual sessions, but without the rigorous schedule found at most luxury retreats so that you can make the most of your stay in beautiful Fiji. 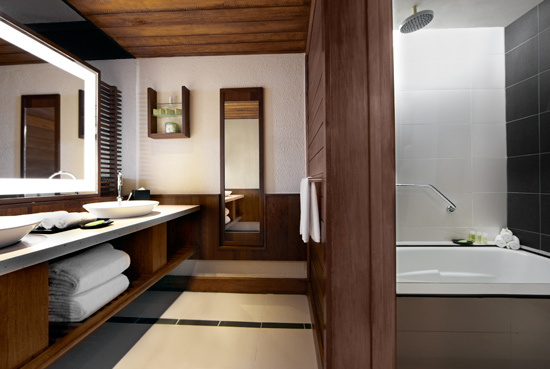 The retreats will be hosted in the heart of Denarau, at the luxurious and relaxing environment of The Westin. 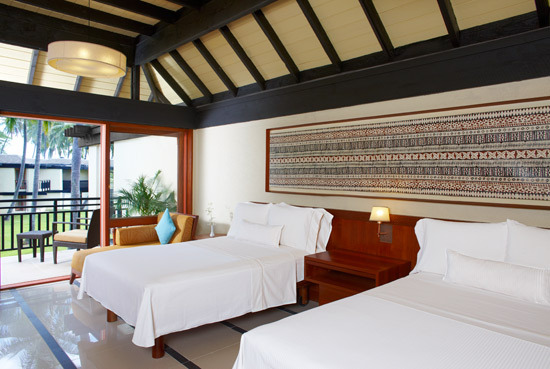 You are invited to experience a new realm of luxury at one of the best resorts in Fiji. Indulge in delicious local flavours and the comfort of familiar cuisines at the numerous dining options across our integrated resort. Take a dip in one of our 6 swimming pools or pamper yourself with a treatment at our award-winning Heavenly Spa by Westin. Be mesmerized by the local culture with a performance by local dancers at Coco Palms. Enjoy the best of Denarau Island in Fiji with a round of golf, water sports and water park adventures, easily accessible from the resort. As the retreat is not entirely scheduled, you will have plenty of time to venture around the grounds and explore your beautiful surroundings. For further information about The Westin including more detail of rooms and facilities visit their website! 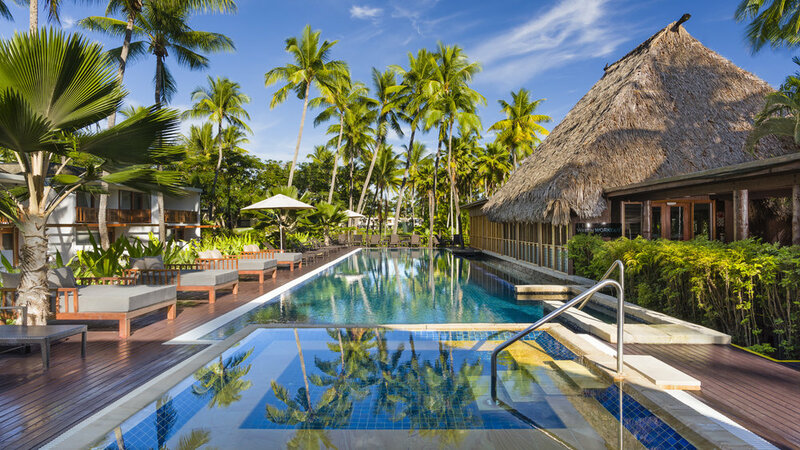 Located on Denarau Island, The Westin Denarau Island Resort & Spa is a luxury resort in Fiji designed to reflect Fiji’s rich cultural heritage and local style. The finest resort facilities, personal service and stunning oceanfront location offer the perfect backdrop for an unparalleled, tropical getaway in idyllic Fiji. Wendy is an Internationally trained Opera Singer and Executive/life Coach. She completed Post graduate study in Performance at The Royal College of Music in London, UK. Wendy is an International accredited executive coach awarded from the International Coaching Community. She has also completed her Wellness Coaching Certificate through the Life Coaching Academy, Sydney. Wendy’s career has seen her performing globally from London’s West End to the United Nations in New York. She was a member of the D’oyly Carte Opera Company in the UK and in the past 6 years Wendy has been a Resident Artist for Opera New Zealand performing in main stage operas and concerts throughout New Zealand. Having had her own success in her vocal career Wendy was inspired to help others achieve their own dreams no matter how big or small. Dedicating her time for the development of N.O.W.W, Wendy is empowering individuals to find their confidence and ‘free their own voice’. Motivating individuals and groups to live in the moment, develop current and new opportunities and value own self-worth. Wendy promotes vocal freedom to encourage confidence in the work place. Exploring individual and group interests and passions and motivations. Passionate about empowering others to achieve their own dreams. Yoga has been a regular part of Alana’s life for over 10 years now and in the past 6 years of instructing yoga, she has enjoyed teaching a range of ages and capabilities from toddlers and families to injured and elderly (even with oxygen tank in tow!). Through her own life experience and challenges she has endeavored to practice and develop knowledge in relating to people of all ages, abilities and backgrounds. Alana truly thrives on incorporating this perceptiveness into yoga sessions to benefit participants, so they can walk away feeling it was a positive experience and are inspired to integrate yoga into their lives. Alana is originally from Hobart, Tasmania and has lived and fulfillment overseas, then settled in Brisbane for 12 years before moving to Fiji 6 years ago. After accepting roles in marketing in Fiji she then launched her own business development consultancy and yoga business in Fiji in 2014 which also coincided with her daughter Ana being born. Alana now lives full time in Nadi with her partner and daughter and continually evolves her own personal focus of maintaining a balance between the modern world and bringing peace, laughter and fulfillment in daily life by incorporating yoga. Helping people reconnect with their overall wellness through yoga brings the change to change a person’s perspective and outlook on life and Alana feels fortunate any time she has the opportunity to share yoga. Alana trained at Byron Yoga Centre to obtain her 200hr YTT course, and has taught acro-yoga, partner-yoga, kids yoga, SUP yoga, meditation and corporate mindfulness. Teaching regular weekly sessions at international resorts on Denarau Island in Fiji, as well as gyms and other locations keeps Alana busy. She has also taught yoga for special events and conferences such as the Westin Wellness retreats with Rachel Finch, Fiji Surf Association female development squad training’s, reality TV shows such as the 2018 Bachelor in Paradise and The Last Resort 2017, and featured on travel shows such as Getaway Australia. Steph studied a Bachelor of Commerce/Bachelor of Science at the University of Auckland. Majoring in Psychology and Management. She is passionate about holistic health and wellness. Steph will be assisting in coordinating the retreats and online presence. Hypnotherapy, Systemic & Organisational Constellations, Somatic Healing, Voice Dialogue, Inner Child work, Intimacy Training, Psych-K, Equine Facilitated Therapy, Shamanism and Regression- as well as Past Life Therapy. Since 2001 I have followed my calling to be of service to people and their healing, always knowing that you, the client, hold all the answers inside of you. Love is what moved me to beautiful Australia in 2002 and love is what I teach today. I co-facilitate coming into love, to put it in simple terms, for oneself, life, the world and everyone in it. What I bring and offer to you is a deep understanding of today’s stresses and pressures – in business and private life, complete presence to your most pressing needs and wants and tools that support you in coming more into balance and living your life in greater health and joy. My work is deeply intuitive and with my ability to be completely present to you, we often get to the very core of the matter in just one session (or very few) – with lasting healing effects. So if you are ready to step into your true Self, the one free of addictions, ill serving habits and patterns, or you simply want to come into a healthier balance in your life, then I’d be thrilled to co-facilitate that with you. I work out of the prestigious 5-Star Health Retreat “The Golden Door – Elysia” in Pokolbin and run a private practice in Paterson and Sydney, working one-on-one and worldwide over the phone. I regularly facilitate workshops and training seminars. In my spare time I am a dedicated Palliative Care Volunteer, enjoy my little “farm” and love spending time with people and in nature. Originally from Poland has worked in some great restaurants in the UK, Cyprus, Poland, Denmark & USA. Pawel has experience in working in Michelin star restaurants. He has worked alongside Rene Redzepi at Copenhagen's Noma, ranked 4 times World's Best Restaurant, culinary star of Europe Rony Emborg of the Marchal at the hotel D'angleterre named best restaurant in Denmark 2014, & most recently worked for Australian celebrity chef Peter Kuruvita as head chef at Flying Fish Fiji as well as opening Sheraton Samoa Aggie Grey's Hotel and Bungalows.